A brilliant idea to get married in a Mykonos Island !!! All the islands in the complex of Cyclades are known for their unique natural beauty, their rich history and their architectural treasures. Combine that with the luxury lifestyle, the wild nightlife and the cosmopolitan character of Mykonos and you have yourself the perfect place for a wedding. Having your wedding ceremony, as well as your dinner and reception party take place in a Mykonos luxury villa, means spending some of the happiest days in your life in private, in one of the most beautiful landscapes worldwide and in one of the most sophisticated and cosmopolitan islands in Greece. Below you will find yourself enough reasons to persuade you to plan your wedding in a luxury villa of Mykonos. Couples often want to enjoy their Big Day by themselves and the company of their closest family members and friends, without having to share it with the world at large. After all, the declarations of intimacy sound sweeter and more real when expressed in private locations. Mykonos luxury villas can provide you with a carefree, relaxed, romantic and private wedding. Mykonos is one of the most beautiful island in Greece and has recently turned into one of the most desired wedding destinations worldwide. It should be no wonder, since its golden beaches with the deep blue waters, its extraordinary landscape and extremely inventive and aesthetically pleasing architecture create a picture perfect background for your special day. Luxury villas in Mykonos combine contemporary design beauties and unique decoration concepts with the simplicity of cycladic architecture to create that important “wow” factor. With your guidance and aesthetics, the business owners will be able to create an ideal wedding space for you. 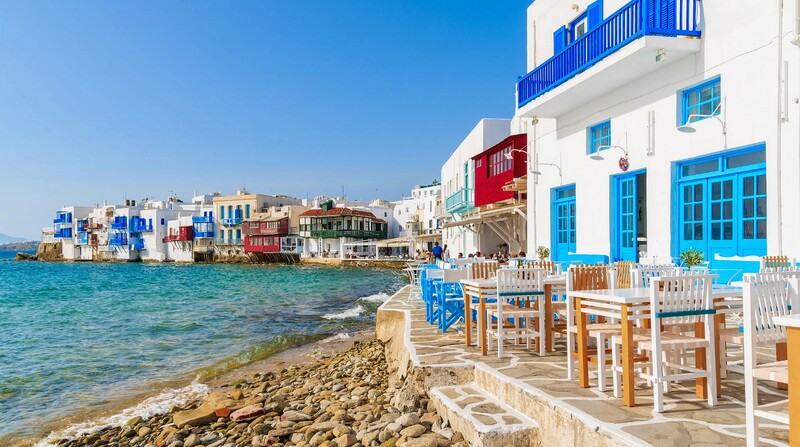 There is no other place in the world like Mykonos, where you can experience both a traditional cycladic vacation and a luxurious and sophisticated lifestyle. The wild nightlife will amaze you, the gourmet foods will excite you and the luxury villas will be there to provide you with anything you need in order to celebrate your love and happiness. The luxury of a villa rental in Mykonos means true relaxation. Both the happy couple and the guests will have a place to relax before the spectacular wedding party, during the event and even afterwards. King size beds, beautiful view, cocktails and privacy are an undoubtablerecipe to ease your mind when you most need to. Also, don’t forget about the spectacular services that will ensure that everything runs smoothly in order to create your most memorable days.